First look at writer/director Drew Pearce's futuristic ensemble thriller. 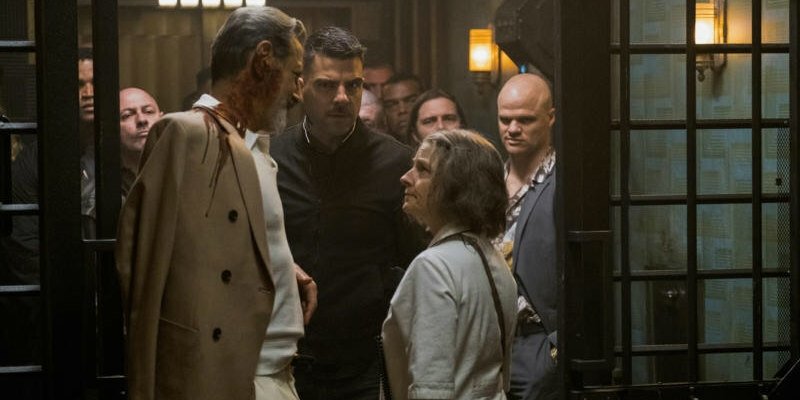 Iron Man 3 writer Drew Pearce makes his directorial feature debut with Hotel Artemis. Plot details have been kept under wraps but we now know it revolves around a hotel frequented by criminals in a near future Los Angeles, with Jodie Foster playing a character called The Nurse, who runs an emergency room for wounded crims. The all-star cast also includes Sterling K. Brown, Sofia Boutella, Jeff Goldblum, Bryan Tyree Henry, Jenny Slate, Zachary Quinto, Charlie Day and Dave Bautista. A full trailer is set to drop later this week, but for now you can check out the short teaser below.